Jennifer Lee, author of Building Your Business the Right-Brain Way and bestselling The Right-Brain Business Plan, spent a decade climbing the corporate ladder before pursuing her creative dreams. Through her popular workshops, coaching practice, and writing, she empowers others to follow their passions. 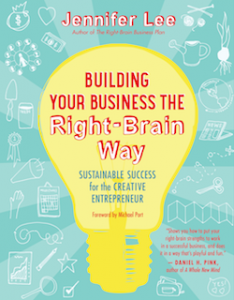 In 2011, Jennifer wrote her first book The Right-Brain Business Plan. If you have been avoiding putting together a business plan because they bore you to pieces, then grab this book. You will have so much fun creating a business plan the right-brain way! She just recently launched her second book Building Your Business the Right-Brain Way and I couldn’t be more happy! You see Jennifer has a unique blend of experience, creativity and business brilliance that the business world was missing. She takes that brilliance, her real-world-tested techniques, her experience and showcases it in one of the most colourful books you will ever read. Jennifer is very creative and works with many creative entrepreneurs, so it would only be natural that she follows her brand throughout her book with many drawings and images, including images of her client’s business plans, workspaces and products. Finally, a business book that won’t bore you to sleep! You might be wondering why a left-brain person such as myself, would promote and read a right-brain focused book. I believe we all have a little creativity and right-brain-ness within us. I love to use my creativity when I am designing or analyzing my client’s websites. I also get creative with crafts to relax and destress after work. Try it! 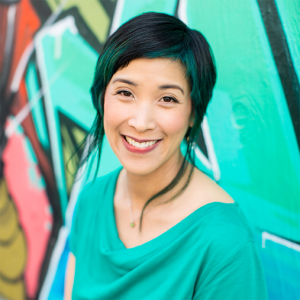 Here is a short Q&A session with Jennifer Lee! New income streams. Everyone wants them, but how does one add planning for that to an overflowing to-do list? First, make sure that your existing income streams are solid and reliable. 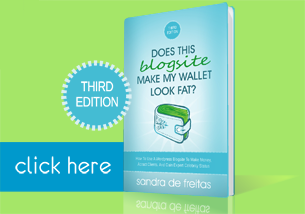 Ask yourself what is the simplest and easiest way for you to make money now and do that. Otherwise, if there’s not steady money coming in you’ll be stressed out about your finances while you’re trying to build something new. And that’s what usually adds unnecessary, fear-based tasks to the to-do list. After you have a stable foundation, then you can look at scaling or diversifying your moola-making methods. For example if you provide a service, you can look at ways to package that into products. Or if you make products, find ways to add in services or mass produce your products so you can better leverage your time and resources. Creating a sales page versus penning a love letter. We don’t normally see those phrases together. Can you connect the dots for us? Most creative, heart-centered folks love their craft but loathe the idea of selling. Instead of feeling like you’re hustling or being pushy, look at sales as an invitation to connect authentically with your perfect customers. Use the format of a “love letter” to engage in a heartfelt conversation with the people you most want to help. Let them know what you really want for them, that you understand their pain points, and how what you have to offer will make their lives that much better. A love letter helps you shift from “icky” selling to inspired serving. You talk about how vital it is to make time to pause, reflect, and celebrate. Why is that so important? When passionate, driven entrepreneurs reach one of their goals they often race on to the next task without pausing to reflect for fear they might miss out on something or fall behind. However, taking time out to assess, rest, and celebrate helps you make necessary adjustments, replenish your creative well, and innovate more. Learn to pace yourself so that you and your business will be around for the long haul. When you take care of yourself, you take care of your business, and in turn you can take better care of your customers.